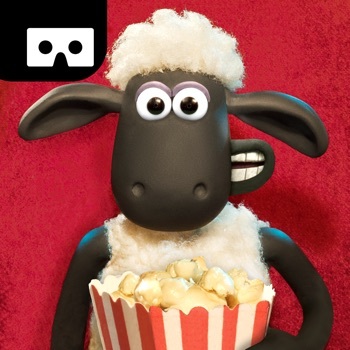 Aardman present Shaun the Sheep’s first VR experience in Movie Barn VR! 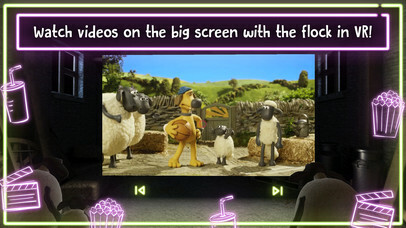 Join Shaun, Shirley, Timmy and the rest of the flock in the barn to watch fun videos on the big screen in VR! SHAUN’S SAVED YOU A SEAT! Sit back and relax with the flock as you view your favourite Shaun the Sheep clips. The baas, bleats, and cheers add to the fun! Interact with your favourite characters and immerse yourself in Shaun’s world for the first time in VR! Explore the barn from the comfort of your own hay bale – you’ll be part of the flock in no time! Download Movie Barn VR for your Google Cardboard compatible viewer to get started. New Aardman videos are added all the time so you’ll never run out of fun things to watch! ** A Google Cardboard compatible viewer is required. Movie Barn VR is intended for use by adults and children aged 7+ under adult supervision. All users should take regular rest breaks away from the app at least every 10 minutes, or more regularly as individual comfort dictates. The experience is best enjoyed with an internet connection and headphones, and played while seated.